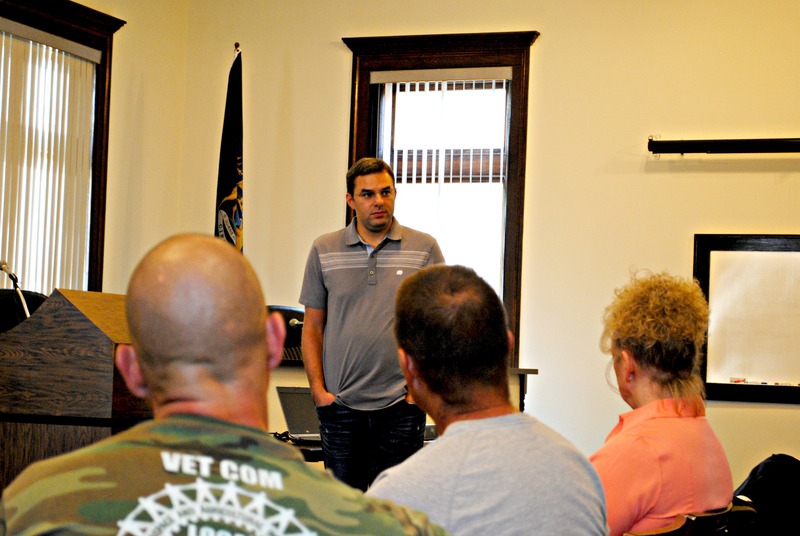 IONIA May 8, 2015– U.S. Rep. Justin Amash held a town hall meeting at Ionia City Hall last night, where he was greeted by dozens of union activists and their families holding signs and protesting against the proposed Fast Track trade legislation. The rally was organized by IUE-CWA Local 436; members of several local unions were present. Inside City Hall, Rep. Amash was asked about his stance on the Fast Track legislation, and he said he was still considering how he’ll vote. He also said that he didn’t think the bill would come up for a vote any time soon, because there has been so much push back from labor groups. Jammer said that the group wasn’t necessarily against the trade deal, but the fast track of the bill itself. Fast track refers to a bill that goes before Congress that can be approved or disapproved, but can not be amended. The [labor] group rallied to express its concerns over potential job loss in Michigan if the TPP is enacted. According to a Local 436 press release, there have been an estimated one million jobs lost after the passing of NAFTA due to outsourcing, and the group is afraid that the TPP could contribute to the trend. Jammer spoke on the secrecy of the bill, stating that the bill is kept in a secured room where a limited number of people can actually read it. Rep. Amash said he understands people’s reservations about having trade treaties negotiated in secrecy, but still thinks free trade is a positive for country. 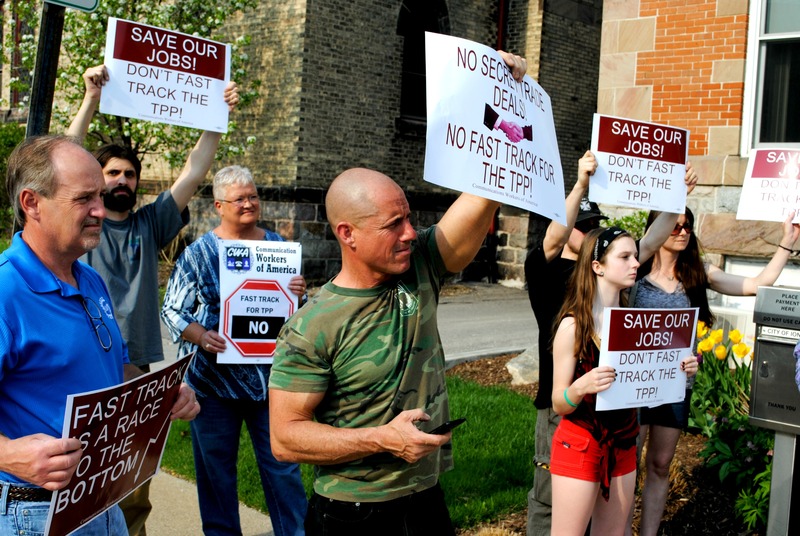 The Kent-Ionia Labor Council has joined every other major labor organization in strongly opposing Fast Track and the Trans-Pacific Partnership. KICLC President Sean Egan recently penned an op-ed for the Detroit Free Press in which he lays out why Fast Track is bad for all workers. To read more about Fast Track, click here. To let your Representative and Senators know that you oppose Fast Track, click here to send them an email. This entry was posted on May 8, 2015 by WMALC in Political news and tagged Ionia, Ionia County, IUE-CWA, Justin Amash, trade.